Will the Rich man burn in hell forever? Does the Lazarus and the Rich Man parable teach eternal torment with no possibility of parole? Not if we interpret as Jesus meant it. Then the Rich Man’s torment ends when he repents. How do we know this? “Reversal” is the “cause” of what exists in Hades (Lk. 6:25), a “correlation” governs what the Rich Man receives. While alive the Rich Man lived in paradise with plenty to spare yet failed to aid Lazarus at his gate who was in anguish from want and experienced only bad things while alive. To balance the scales, Lazarus now enjoys paradise with plenty to spare but is not permitted to aid the Rich Man in anguish from want in Hades and experiencing only bad things while dead. It logically follows therefore, as Lazarus suffered until he died, the Rich Man’s torment ends when he “dies”. As the change that occurs during repentance is figuratively like “dying”, the “old man” is “born again” a “new man” (2Cor. 5:17. Rom. 6:4. Jn 3:3. Eph. 4:24), it follows the Rich Man’s torment ends when he repents. Wait a minute, then Lazarus’ time in paradise is limited by time the Rich Man was alive! While it is not unjust Lazarus be rewarded infinitely more than he deserved (that is a function of God’s grace Exod. 34:6), it would be unjust the Rich Man be punished more than he deserved. Confirming this, Lazarus’ works could not merit paradise at all (Eph. 2:5-9). Moreover, this fits the purpose of the parable, to warn those who are like the rich man, not to advocate the lifestyle of Lazarus. The correspondence is cited to the Rich Man while Lazarus fades into the background, therefore it establishes what the rich man receives. Factor in the beliefs of Jesus’ audience and the possibility this parable teaches eternal torment is zero. Jesus’ audience would have interpreted Lazarus and the Rich Man as literally as possible. They used the terms “Gehinnom” and “Hades” synonymously much as did the KJV which translated both as “hell”. ‘In the Hereafter Abraham will sit at the entrance of Gehinnom and will not allow any circumcised Israelite to descend into it. ).-Abraham Cohen, Everyman’s Talmud, (Schocken Books, NY, 1995), pp. 381. 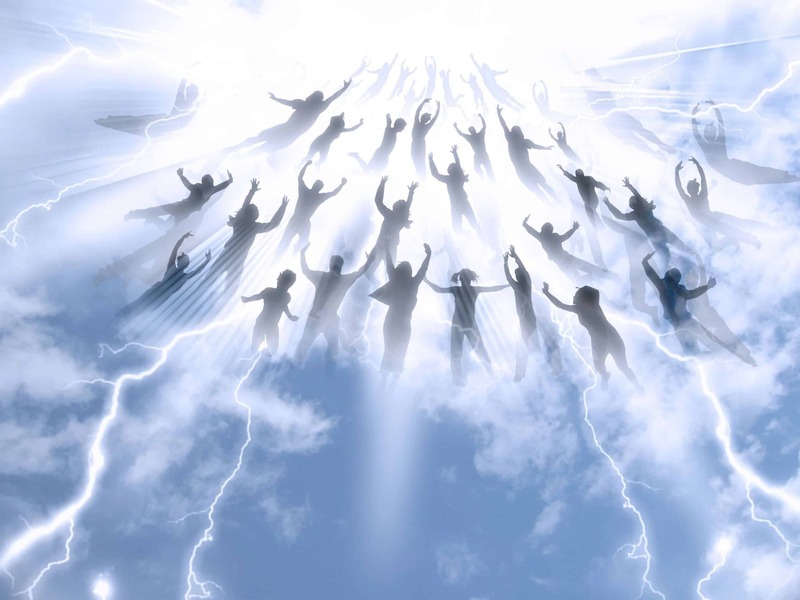 The third class will descend to Gehinnom and cry out (from the pains endured there) and then ascend; as it is said, “I will bring the third part through fire, and will refine them as silver is refined, and will try them as gold is tried; they shall call on My name and I will hear them” (Zech. xiii. 9). Concerning them Hannah said, “The Lord killeth and maketh alive, He bringeth down to Sheol and bringeth up” (1 Sam. ii. 6). A. Cohen, Everyman’s Talmud, (Schocken Books, NY 1995), p. 377. Those whose merits and demerits are equal remain in a middle state, and the intercession of meritorious men such as Abraham saves them and brings them into paradise (Testament of Abraham, A. xiv.). According to the sterner doctrine of the Shammaites, these souls must undergo a process of purgation by fire; “they enter Gehenna, swing themselves up again, and are healed.” This view, based upon Zech. 13:9, seems to be something like the Christian purgatory.-Singer, I. (Ed.). (1901–1906). The Jewish Encyclopedia: A Descriptive Record of the History, Religion, Literature, and Customs of the Jewish People from the Earliest Times to the Present Day, 12 Volumes (Vol. 5, p. 217). New York; London: Funk & Wagnalls. Lazarus and the Rich Man are part of Jesus’ response to the Pharisees rejecting His authority to teach (Lk. 16:14-18).They are the main targets. The Rich Man doesn’t fit the Pharisee profile, although he is a Jew calling Abraham “father”, he’s depicted as a secular Jew living large like a rich Roman ruler. Luke chronicles the change in relations between Jesus and the Pharisees. At first Jesus patiently answers offensive questions (Lk. 6:2-5; 6:7-11; 7:30-35; 7:36-47) while still targeting some of their core traditions. That changed after the Pharisees insulted the Holy Spirit as the power of the Devil (Lk. 11:14-15. Mt. 9:34; 12:24-34). The Pharisees believed health and wealth indicated God’s favor, like a foretaste of the hereafter. They would consider Lazarus cursed by God because he lay crippled and diseased at the Rich Man’s gate. 8 The master commended the dishonest manager for his shrewdness. For the sons of this world are more shrewd in dealing with their own generation than the sons of light. The Pharisees saw wealth as God’s blessing, proof they were serving Him correctly. In context Jesus had been alluding to their traditions for a while, this was the proverbial “last straw”. Now they openly rejected Christ’s messianic authority, mocking Him. Christ’s answer (Lk. 16:15-18) affirms His authority (predicted by Moses Deut. 18:15 and accepted by the people) and points to proof the Pharisees justify themselves but God knows their hearts. Christ cites God’s original standard there be no divorce (Mt. 19:3-9) as proof against the Pharisees (Mk. 7:9-13). This issue was intensely debated in Jesus’ day and many believed as Christ taught (including the Sadducees), while the Pharisees said a woman can be divorced even if she cooked a bad meal . 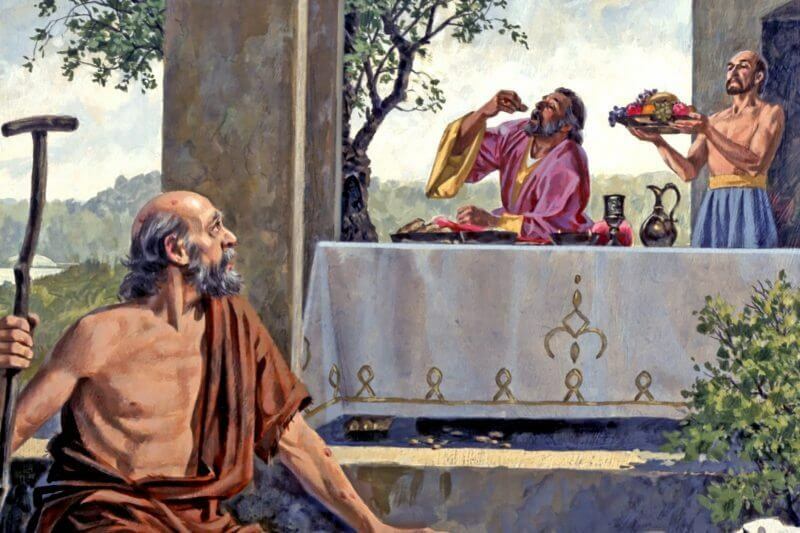 Christ’s parable is about a Rich Man who lives like a Roman. He clearly is a secular Jew not heeding the Law regarding charity to the poor. That God is not with him would be discerned by the audience, and that is proof the “health and wealth prosperity doctrine” of the Pharisees is clearly wrong. The Rich Man wasn’t being “helped by God” (as the name Lazarus means), he ends up in Hades. Jesus also contradicted Pharisee belief Abraham sat at the gate of Hades and would not permit any circumcised Israelite descend into it. Not only would Abraham NOT stop their descent, he could do nothing to lessen torment in hell. So Luke 16:18 is Exhibit A the Pharisees justify themselves but their hearts are far removed from God. This confirms Christ’s Messianic authority to teach (Mat. 19:3-9. Mal. 2:13-16). Among the sins the Pharisees were guilty of, is their idolatrous love for money which is akin to spiritual adultery. If they don’t repent, then what happened to the Rich Man, will happen to them. Evidently, this warning stopped their mocking, we don’t read them responding to the parable. 47. The school of Shamai say: A man may not divorce his wife, except he found in her a matter of nakedness (fornication); for it is said (De. 24:1): “Because he has found in her matter of nakedness.” The school of Hillel (whom a certain school delight in representing as having exerted his authority for the modification of the severity of the Mosaic law) say: He may divorce her, even if she has burned his food; for it is said: “Because he has found in her matter of nakedness.” Rabbi Akiva says: He may divorce her, even if he has found a prettier woman; for it is said (De. 24:1): “And it come to pass that she find no favour in his eyes.” Guittin, fol. 90, col. 1.-Hershon, P. I. (1883). Genesis: With a Talmudical Commentary (p. 125). London: Samuel Bagster and Sons. The Rich Man’s request only for “water to cool my tongue” (Lk. 16:24) suggests he saw his predicament as temporary, not eternal. Abraham calls him “son” (5043 τέκνον teknon) “child” indicating he had tender affection, love for the Rich Man. Men of God do not tenderly love eternally condemned evil doers, therefore the Rich Man was not an eternally condemned evil doer. 25 “But Abraham said,`Son, remember that in your lifetime you received your good things, and likewise Lazarus evil things; but now he is comforted and you are tormented (3600 ὀδυνάω odunao). It is eisegetical the Rich Man is suffering eternal “torment”, rather we see a man chastened who recognizes he deserves it, and knows its temporary. He’s rational, conversational, asking only for minor relief to cool his tongue. That would not be the case if her were suffering eternal torment. [3600 ὀδυνάω odunao] Tormented (ὀδυνῶμαι). Used by Luke only. Tormented is too strong. The word is used of the sorrow of Joseph and Mary when the child Jesus was missing (ch. 2:48); and of the grief of the Ephesian elders on parting with Paul (Acts 20:38) Rev., I am in anguish.-Vincent, M. R. (1887). Word studies in the New Testament (Vol. 1, p. 399). New York: Charles Scribner’s Sons. [931 βάσανος basanos] “A touchstone, a black siliceous stone used to test the purity of gold, silver and other metals, hence any test or criterion by which the qualities of a thing are tried. Metaphorically meaning instrument of torture by which one is forced to divulge the truth, examination, trial by torture.”-Zodhiates, S. (2000). The Complete Word Study Dictionary: New Testament (electronic ed.). Chattanooga, TN: AMG Publishers. The Rich man is conversational, rational, not hysterical and screaming as if being tortured. Therefore, it is eisegetical we interpret “”this place of torment” as a torture chamber causing uncontrollable screaming. According to the sterner doctrine of the Shammaites, these souls must undergo a process of purgation by fire; “they enter Gehenna, swing themselves up again, and are healed.” This view, based upon Zech. 13:9, seems to be something like the Christian purgatory.-Singer, I. (Ed.). (1901–1906). The Jewish Encyclopedia: A Descriptive Record of the History, Religion, Literature, and Customs of the Jewish People from the Earliest Times to the Present Day, 12 Volumes (Vol. 5, p. 217). New York; London: Funk & Wagnalls. The Rich Man is in anguish in this flame (5395 φλόξ phlox) being purged by the flame of God’s inspection (Rev. 2:24; 2:18; 19:12). Thirsting for God’s presence (Ps. 42:2; 63:1; 143:6) is behind the imagery of wanting water to quench thirst. There is an eschatological reversal being worked out (Mt. 6:20-24. Lk. 16:25), the “Rich Man” in death is being purged as Lazarus was while living. The trials are in the category of God’s purifying servants (1 Chron. 28:9. Ps. 7:9; 11:5; 26:2. Jer. 11:20; 32:19. Jas. 1:12; 5:11; Rev. 2:23), not punishment of the wicked. This explains why Lazarus is named, and the Rich Man not. Lazarus means “God helped”. Evidently, the trials he went through when alive, made him ready to enter paradise. The Rich man had no help from God, he ends up in Hades. But as a child of Abraham, the gifts and calling of God are irrevocable. Even if he died an enemy of the Gospel of Christ, yet out of Zion his deliverer would come and “all Israel will be saved” (Rom. 11:26-33). See Postmortem evangelism for more on this. 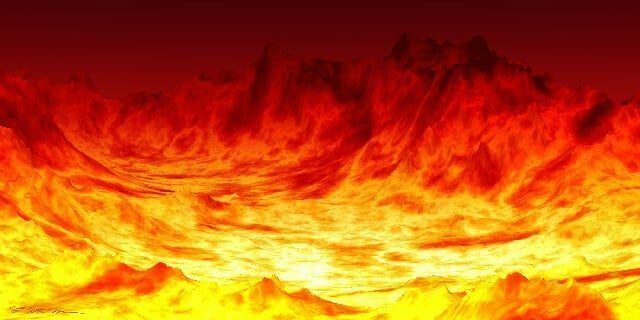 All torment in Hades ends at the resurrection on Judgment Day; First death landing one in Hades is temporary, only Second Death landing one in Lake of Fire is eternal. Some might argue for an independent “reversal”. Lazarus is consoled, and the Rich man is in anguish independently. Nothing connects the two. The “lifetime” limitation remains but the “repentance” aspect is lost. However, the juxtaposition argues against that equation because why mention Lazarus at all? Clearly it is a warning the Rich Man’s lack of charity toward Lazarus was sinful and why the Rich Man suffers anguish in Hades. How long Lazarus suffered is then pertinent to how long the Rich Man must suffer.